There are a plethora of used Chevy trucks on the market, but the Silverado has withstood the test of time and earned its reputation as the longest-lasting pickup truck on the road. Recently, the Colorado nameplate was brought back from the grave and has been winning awards left and right. Released in 2015, there are only a couple of model years that you can buy used. However, like the Silverado, a used Colorado is 100% worth the money. Not only is it built to last, just like the Silverado, but also celebrated for performance all its own. DePaula’s used Chevy truck inventory features both of these bow-tied beasts, quality-assured. We also offer these models in our certified pre-owned inventory, for even more consumer confidence. Either way, the Silverado and Colorado won’t disappoint those looking for a solid truck. When it comes to durability, it all starts with the frame of the truck. Without a good frame, the truck will not only have a shortened life expectancy, but it will also be able to tow and carry less in the truck bed. That’s why Chevrolet uses the proven fully boxed frame design in both the Silverado and the Colorado, as opposed to an open C-channel, or other types of frame design. While an open C-channel frame in the back and middle of the truck does provide good flex for ride quality and comfort, many speculate that a vehicle like the Silverado 1500, 2500, or 3500 needs a fully-boxed frame to aid in rigidity, strength, and towing capability. Larger big-rigs are able to get away with an open C-channel frame thanks to the sheer mass of the frame rails themselves, and actually, needs that flex in the back for a comfortable ride. However, a fully-boxed frame is always going to be stronger than an open C-channel frame of comparable size and thickness. Therefore, if you’re looking for maximum durability and strength, a fully-boxed frame is the way to go and that’s what the Silverado and Colorado both utilize. Not surprisingly, the truck bed is the part of a pickup that takes the most abuse. Especially in the work environment, where everything from dirt to heavy (potentially jagged) rocks are going to be loaded in the back. Therefore, it needs to be just as durable as the frame it rides upon. 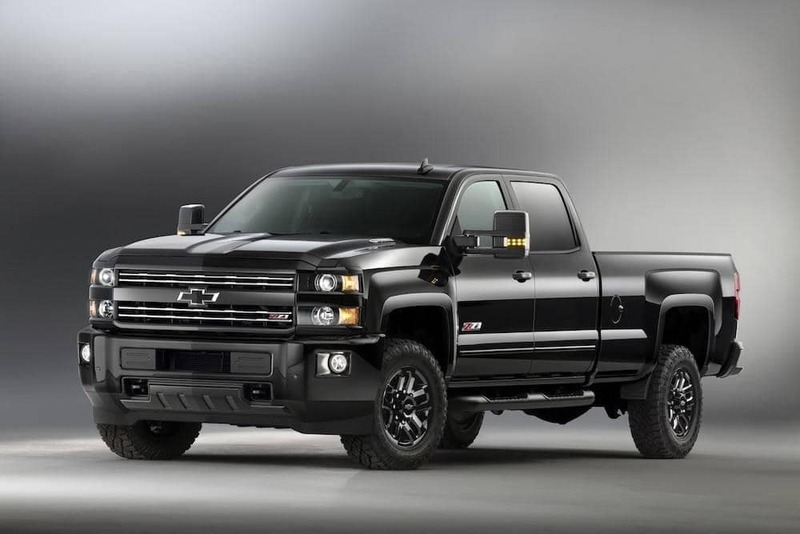 For that, there’s no stronger pickup bed on the market than the Silverado’s and Colorado’s. Both are made out of high-strength, roll-formed steel. Roll-forming steel is one of the strongest ways to produce steel, and using a high-strength steel material in the truck bed ensures that the truck bed will last. An aluminum bed might help with fuel economy but isn’t nearly as durable as high-strength steel. That commercial where the Silverado and F-150 are side-by-side and have various materials dropped into their respective truck beds isn’t a joke; aluminum really does puncture that easily. Sure, you could throw a truck-bed liner down and not worry about it. But, that’s going to cost you extra. Stamped steel is also an option on some other competitor’s truck beds, but stamping steel is a weaker and more inexpensive way of producing steel. Therefore, the Silverado and Colorado do have some of the strongest truck beds in the industry. Clearly, buying used isn’t a problem thanks to the durability of the Silverado and Colorado. They’re obviously built to last, with fully-boxed frames and high-strength, roll-formed steel truck beds. Because of these features, you’ll have exceptional durability for years to come. At DePaula Chevrolet, you’ll find used Colorado and Silverado models featured proudly on our lot, all at fair prices, and all in good condition. The Colorado is a model that’s quickly grabbed the reigns in the midsize truck segment, snapping up awards and trouncing its competitors. Motor Trend’s Truck of the Year for two-years running, the recent release of the 2017 model means the 2015 and 2016 models are now sold at used prices. Both the 2015 and 2016 Colorado provide plenty of high-tech features, a very comfortable ride, exceptional fuel economy, and a maneuverable size. The primary difference between the 2015 and 2016 model years is the available diesel engine. A 2016 Colorado equipped with the 2.8-liter four-cylinder turbocharged diesel engine produces 181 horsepower/361 lb.-ft. of torque, and can tow 7,700 pounds when properly equipped. It’s able to return up to 22 mpg city/30 mpg highway (2WD models). For the 2016 model year, the Colorado was the only truck in the midsize segment to offer a diesel engine. Meaning, you won’t find capability and fuel economy like that unless you shop with Chevy. For the Silverado, DePaula Chevrolet offers many different trim levels, model years, configurations, and models. Whether you’re looking for a used 2009 Chevrolet Silverado 1500 LT with 4WD, or a certified pre-owned 2016 Chevrolet Silverado 2500HD High Country model, we have what you’re looking for. The capability and durability of the Silverado speak for itself, thanks to the legendary reputation it’s gained over the years. With high-strength steel used in the bed, frame, and body design, it’s able to withstand the toughest conditions. The 1500 is good for those looking to get a truck for day-to-day chores and hobbies, whereas the 2500HD and 3500HD are for those who are looking for increased towing capacity and overall capability. Even though you don’t have to be concerned about the quality of DePaula Chevrolet’s used Chevy trucks, we still offer certified pre-owned trucks if you prefer. Obviously, pickup trucks have a reputation for being work vehicles, so extra peace-of-mind and confidence that you aren’t buying a used truck with excessive wear and tear is very important. A certified pre-owned vehicle is a model that’s been rigorously inspected and is certified to be in like-new condition, direct from the manufacturer. While each CPO program differs from manufacturer to manufacturer, Chevrolet has one of the best around. Before the inspection process begins, all used vehicles must first qualify by being within five model years old and under 75,000 vehicle miles. If those two stipulations are met, then they must pass a 172-point vehicle inspection and reconditioning process. A total of 172 parts of the vehicle will be inspected and will be replaced or repaired if necessary. The vehicle must also have a clean title, and come with a vehicle history report. If it does become a certified pre-owned Chevrolet vehicle, then you can benefit from a new 6-year/100,00-mile powertrain limited warranty, exclusive CPO scheduled maintenance program, 12-month/12,000-mile bumper to bumper limited warranty, 24/7 roadside assistance and courtesy transportation, vehicle exchange program, and even a three-month trial of OnStar Guidance Plan/3-months of SiriusXM trial subscription. The purchasing confidence, courtesy of these benefits is why we call this the certified pre-owned advantage. Not only are you getting a used vehicle you know is in good condition, you’re also getting your money’s worth.